Should We Treat the Syllabus as a Scholarly Work? Jason Rhody is program director of Social Science Research Council’s Digital Culture program. He was formerly senior program officer at NEH’s ODH. « What Can We do About Scientific Misconduct? In March, scholar-educators and the Humane Metrics Initiative (HuMetricsHSS) team came together at Michigan State University to better understand the values that shape how syllabi are crafted and evaluated. This is reposted from the Humane Metrics Initiative blog under a CC BY 4.0 license. 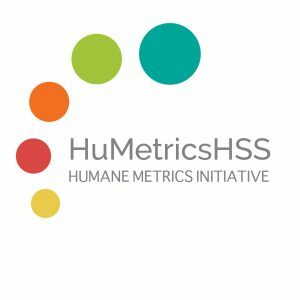 HuMetricsHSS is an initiative comprised of individuals and organizations from the academic, commercial, and non-profit sectors for rethinking humane indicators of excellence in academia, particularly in the humanities and social sciences. After introductions, we began our work by splitting into groups and analyzing randomly selected humanities syllabi to see if it was possible think about syllabi as textual features that could be visualized in an “analog” manner, by using paper, pen, and various craft supplies. This activity served as both an icebreaker and as a thought experiment for our group and the MSU Data Science Team, who will be working to develop a prototype app that can take a given syllabus and extract data from it to tell the author something about the values embedded in the syllabus. 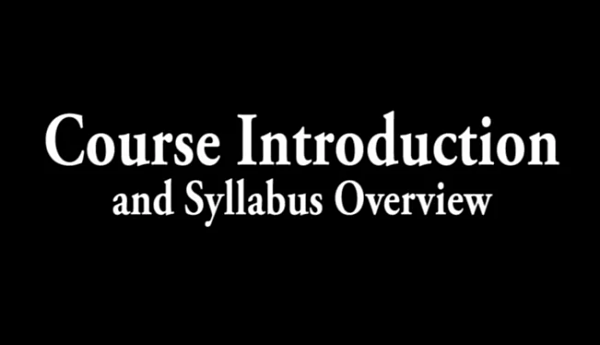 Syllabi features identified included required texts lists (from which you could extract information like author nationality and gender), grading policies, class schedules, learning outcomes, and a host of other administrative content that usually contains implicit value statements (e.g. “Disability Accommodation” policies can signal an organizational commitment to Equity). A major theme that emerged was that of sentiment analysis: What can we learn about an instructor or an institution’s values from the punitive language, hedging statements, or optimism that is often embedded in the pages of syllabi? In the afternoon, we introduced the HuMetricsHSS proposed core values to workshop participants, to further our thinking as a group about all the potential value-drivers for creating syllabi. Participants examined their own syllabi with these values in mind, reflecting upon the implicit and explicit values they integrated into their own teaching. One participant shared the realization that the language she chose for a performance class’s syllabus assumed students’ able-bodiedness, which in her opinion didn’t align fully with the value of Accessibility. “I want my students to be able to say, ‘I can do that!’ when they look at my class, and right now this syllabus wouldn’t inspire all students to say that,” she explained. Context was also identified as necessary to be able to fully interpret one’s inclusion in a syllabus. For example, there is a difference between one’s work being listed as one of several readings for a class and in being the only reading for a class, around which an assignment is built. We ended the workshop with a discussion of the various places where “HuMetrics-like” conversations around teaching are already happening, which the HuMetricsHSS team will use to start conversations and grow our community. This entry was posted in Higher Education Reform, Interdisciplinarity and tagged Humane Metrics Initiative, Syllabus. Bookmark the permalink. Post a comment or leave a trackback: Trackback URL.